It was one of the best books I have ever seen I would rate it a 5 out of 5 the lady inspired me to be a rehomer when I grow up !!! that puppy looks so cute! i really want to read this. i LOVE puppies there just so CUTE! the-book-club-review-team is soooooooo right this book cover is defentintly atractive! 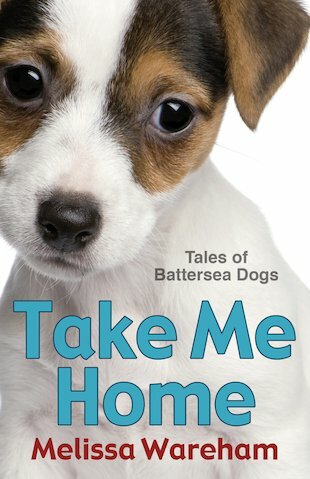 Take Me Home is a lovely story about a girl who has always wanted to work with dogs. At first she wanted to be a vet but when she did not pass her tests she realises that she cannot fulfil her dreams. But when someone from Battersea Dogs and Cats Home comes in Melissa finds another job. She grows up and enjoys her years as a re-homer. I really liked the book because it was a real ife story and you just want to keep on reading. I also think the cover really draws you in. There was nothing I did not like about the book apart from when it ended. If there was another book in the series I would read it. its so great i reccomend!! !